Car insurance. If you own a car, you must have it. That is the law and if you’re pulled over and can’t provide proof of insurance you’re going to get fined or you may even get your vehicle impounded until you have sufficient coverage. But let’s face it, car insurance can be expensive especially if your driving record is even the least bit spotty. A ticket or an accident in your past will drive up your rates quick. So will the type of vehicle that you drive and the part of town in which you live. Do you park it on the street or in a garage? That could also affect your rates. The fact is there is a veritable menu of factors that can both adversely and positively impact the amount you’ll pay per month to keep even the minimum amount of protection mandated by law. The insurance companies also offer ways to help offset your costs through a variety of discounts and other considerations designed to save you some money as well. There is no shortage of companies on the market, either. Even a cursory search for car insurance companies turn up at least fifteen that you’ve probably heard of and many others that you probably haven’t. Some of these companies put a lot behind their marketing campaigns, turn on the TV for an hour and you’re likely to see Flo from Progressive and the Geico gecko charming you into seeking out their services for all of your auto insurance needs. But just remember that those commercials cost money to produce and air on network television. Who do you think is paying those costs? You can bet they’re looking at you, the consumer, to help fund those large marketing campaigns when they determine your rates and the risk they’re taking on insuring your vehicle. However, there’s no denying that along with meeting the legal mandates for coverage, having auto insurance will provide you with the peace of mind knowing that you and your car are both covered in the event of an accident. 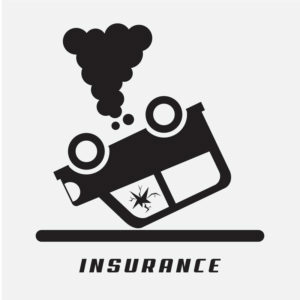 Insurance also covers other types of damage that could occur to your vehicle that may be entirely beyond your control. With so many companies seeking your business, it can be tough to determine which ones have the best rates, the best coverage, the best discounts, and above all, customer service that won’t want to make you pull your hair out when you need to file a claim or make changes to your plan. In the interests of saving you some time in your search, we’ve narrowed the field down to the companies we like at the moment. Take a look at our picks for the ten best car insurance companies for 2016 and see if one of them fits your needs. Before we get into the companies and their various pros and cons, you need to know what it is you’re looking for when it comes to buying the right coverage for your vehicle and driving habits. Most states have specific minimums for the amount of coverage necessary to make the car road-worthy. These are just that though, minimums, and some consumers may want to get more coverage to be sure they’re not on the hook financially for more out of pocket costs in the event something happens. That’s the real balance you need to consider when you’re looking at rates – how much you want to spend per month weighed against what you might be responsible for paying out beyond what your insurance company will cover. We all want a lower rate, sure, but if it means getting cut-rate protection that doesn’t protect you at the end of the day, then what good is it really? You’re paying for nothing. So consider what you need to have first and then compare costs among the various companies. This might be made a little bit easier for you in the event you’re leasing or financing your vehicle through an auto loan from a bank. Your financing agreement may come with specific policy coverage components that must be met as a condition of your loan or leasing arrangement. So knowing what those are when you’re shopping around can provide a good basis for your coverage needs and how much you’ll pay out each month in order to meet those requirements. 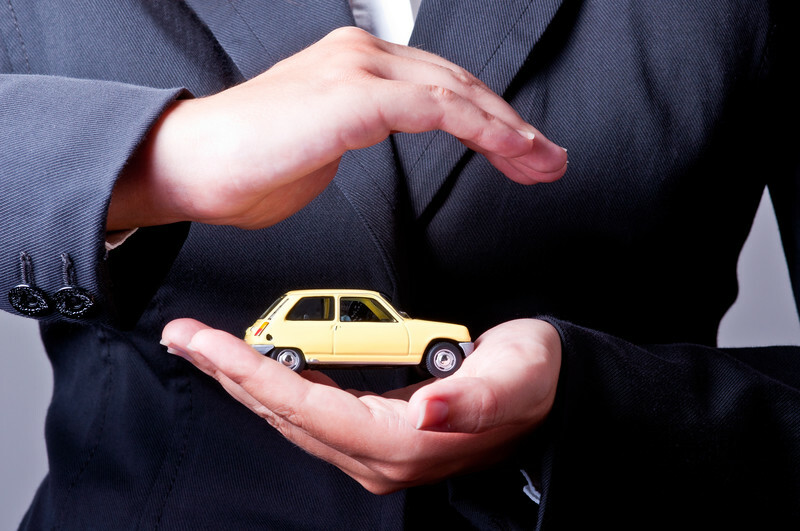 The most basic type that every motorist needs to carry is liability coverage. This covers you in case you’re responsible for causing any property damage to another vehicle or bodily harm to another driver. Sufficient liability will ensure that all medical and vehicle repair costs that are your fault are covered by the insurance company and not taken out of your pocket after your deductible is paid. This does not cover your own expenses in either of those areas as those will be your own responsibility. Many car owners also get collision and comprehensive coverage for their vehicles as well. Though they can each be purchased separately, they are often packaged together as they could be considered two sides of the same theoretical coin. Collision is aptly named because it covers you and your vehicle should you collide into something like an oncoming car, a guard rail, a tree, or any other object that is in your way while the vehicle is in motion. No matter what the reason, be it a wet road or an animal darting into your path, you’re covered. Comprehensive covers your vehicle should it sustain damage from weather-related impacts like hailstorms and trees getting knocked over by wind or heavy rain and other unfortunate occurrences like a fire or someone sideswiping your driver’s side door while the car is parked. Comprehensive will also cover you in case you hit that animal darting into your path and it goes through your windshield. Some people get comprehensive confused with property damage coverage which only covers costs of any property damage incurred by your vehicle. So if you smash into a park bench or back up into the front window of a nail salon, your insurance company will take care of the damage you’ve caused. All of these coverages are important to carry to some degree and a few of them are mandatory to hold in some capacity. There are other various types of coverage that cover you exclusively in the event of an accident, the most popular of which is uninsured or under-insured driver coverage which is exactly what it sounds like. If someone hits your car and they don’t have insurance, your insurer will cover the costs that the other party would normally be responsible for. There are also smaller coverage components that many consumers like to add to their policies, such as rental car coverage which keeps you on the road in a vehicle of similar stature while yours is being repaired and gap insurance which is usually purchased by consumers who owe more payments on their car than it may be currently worth. In the event it gets totaled, the company will pay off the balance. These coverage options may or may not be germane to your situation and you might not want or need these additional forms of coverage, which will definitely keep your costs lower than if you decided to purchase them. So do a little homework and decide what you really need and what might be superfluous. Then go do a little shopping online as all of the companies below have useful websites that describe their services and you can even get no-commitment quotes from most of them. When you’re selecting a good insurance company, there are many things to look for, but arguably the most important factor is financial strength. The entity you rely on to take care of the many costs that come with auto insurance payouts has to have the fiscal fortitude to cover those expenses. Allstate is among the most stable insurance providers on the market today. When they say “you’re in good hands” they mean it with an A+ rating from A.M. Best Rating Services. Allstate also offers some of the best online policy management and its claim processing is among the easiest on our list. But if you’re looking for discounts to save some money, they don’t have the most wide-ranging list of possibilities. They do offer some of the industry standards like good driver and good student discounts, but for deeper savings like multi-car or even loyalty discounts for long-term clients, you’ll want to look elsewhere. The largest auto insurance company on our list, State Farm also has some of the highest brand recognition among its competitors. The only way to gain that kind of popularity is through quality of service and State Farm delivers. The company is considered among the best when it comes to handling of claims and customer service. You can reach an agent at one of any of their 18,000 branches around the country, they also offer 24 hour phone support, and a top rate mobile app that lets you file a claim, adjust your policy, and pay your bill. State Farm also provides a variety of coverage options that others companies can’t match. On the negative side, they also have a shortage of available discounts for saving money, opting to stick with many of the standard options instead of providing a wider array of possibilities. What it lacks in some of the mobile technologies that other companies offer, Farmers makes up for in policy and coverage choices that provide blanket protection of any vehicle and driving record. The company has options for coverage that can get pretty specific, like if you need a windshield replaced they’ll cover it and their New Car Pledge Package provides you with a brand new vehicle in the event yours is totaled in the first two years you own it. But the most popular reason many consumers select Farmers is because of their accident forgiveness program, which lets you expunge one accident from your driving record for every three years that you are a customer. That can reduce the costs of your premiums significantly. The mobile app leaves a lot to be desired; it’s severely limited in what you can and cannot do with it and the company is lacking in the discounts department as well. Perhaps the least well-known name on our list, Farm Bureau Insurance was first established in 1939 to provide farmers with farm liability coverage but it has since branched out into other insurance products as well, including auto coverage. The first thing you need to know is you have to be a member of a farm bureau in order to access any of the insurance policies they offer, which comes with an annual fee. Their vehicle and liability coverages are rather basic as are the majority of their discounts, including safe driver, low mileage, and bundling of home and auto policies. They also provide discounts on younger drivers after they complete the company’s Young Driver Safety Program. When it comes to customer satisfaction, State Farm is your clear cut winner. But the company that often comes in a close second is USAA. Though before you get too eager to look them up, their main drawback is similar to that of Farm Bureau in that their services are restricted to certain individuals. In this case, only active and former members of the military and their families are eligible to apply for USAA coverage. So if those restrictions apply to you, then USAA should be at the top of your list of potential companies based on all of the excellent features they offer. They’re highly rated for financial stability, they provide terrific customer support, and their rates are competitive. 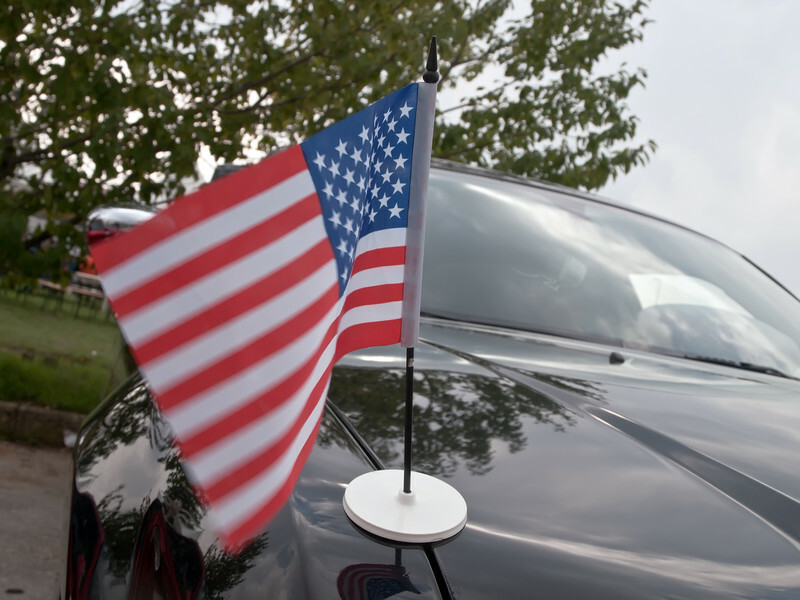 USAA even offers educational resources online for drivers to get a better understanding of the various insurance coverages and their components. The only real drawback to USAA is that they’re not the easiest company for getting a quote. It’s a bit more complicated to do than with other companies. For all around bumper to bumper policy coverage of your automobile, Geico is one of the better companies on the market. They offer all of the essential types of coverage along with most of the major additional options from rental car coverage to windshield repair to roadside assistance and uninsured driver. But vehicle coverage leaves a little bit to be desired as they don’t offer new car coverage, there’s no interior coverage in the event someone breaks in and steals your stuff and don’t even bother asking about gap insurance coverage. However, they do offer mechanical breakdown coverage which provides financial assistance for any repairs under the hood and replacements of parts that aren’t covered by your manufacturer’s warranty. That is a definite plus and not something that every company provides for its clientele. Their discounts are also a weird melange of curiosities, as they don’t provide some of the industry standards like low-mileage driver and prepayment discounts but do provide others like multi-car and a break on your costs through consistent seat belt use. You may be sick of seeing Flo on your television 24 hours a day, but there’s no denying she works for a pretty fantastic company when it comes to buying auto insurance. They simply lead the industry in discounts including all of the standards like safe driver, bundling, multi-car, loyalty, and accident forgiveness along with a myriad of vehicle discounts like anti-lock brakes, airbag, anti-theft alarm, and they’ll even knock down your rate for driving an electric vehicle. It’s almost as if they are constantly looking into ways for you to give them less money every month. But with all of these amazing discounts you may be wondering how great their coverage and claims departments really be? In a word, terrific. You can file a claim 24/7 either with an agent, on their mobile app, or online and they work hard and fast to complete those claims so you’re back on the road quickly. As for coverage, they don’t just keep you and your car safe, Progressive also offers pet injury coverage. So if your dog or cat is in the car with you during an accident, they’ll give you up to $1,000 to take care of their medical expenses. The best part is that it’s free – it already comes with their existing collision coverage policy. A solid choice among the many great options on our list, Liberty Mutual isn’t the flashiest company out there or the one to choose for the most discounts. But what they get right is also the most important and that’s coverage options. They have all the standards as well as gap insurance and new car protection in case your new ride gets smashed up shortly after you drive it off the lot. 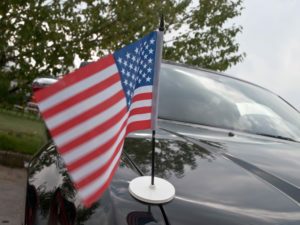 Their coverage is particularly beneficial to those customers who have taken out an auto loan to get that new vehicle. Getting a quote from them is among the easiest on our list with a simple, straightforward, user-friendly system that lets you shop around and compare costs. But they do fall short in the mobile app department, an area that is gaining ground as one of the more vital elements of the buying and user experience for car insurance. Esurance is a subsidiary of Allstate so you can be assured you’re dealing with a top-flight company that has its own well-established brand identity and numerous advantages to make it your choice for car insurance. They excel in their policy coverage offering wide array of options for the vehicle you own as well as any rental cars you may use in the future. They also do a pretty great job with their discounts and, while they may not offer as many as a company like Progressive, they do have most of the industry standard options like prepayment, multi-car, and low mileage in addition to some more exclusive savings options such as simply liking their Facebook page. They’re also incredibly helpful in case you ever get into an accident as they will provide roadside assistance and towing services to your chosen repair shop. The company will even cover the medical costs of any passengers in your vehicle at the time of the accident. But while their coverage options are great, their vehicle coverage isn’t as complete with no new car replacement, gap coverage or mechanical breakdown options available. Rounding out our list is The Hartford, a stable and dependable option for car insurance that offers many of the common policy and vehicle coverages you’ll find at most of the other companies out there, including new car replacement and public transportation reimbursement for when your car is inoperable. They have a high financial stability rating, good customer support, and ease of use with filing claims. Their rates are some of the most competitive around and they offer prices based on your driving trends. The Hartford also gets it done in the technology department with a great mobile app and online site that is easy to navigate for paying bills and tracking claims. In fact, the only department where The Hartford falls short is with the availability of educational resources for drivers to better understand how to buy insurance and the differences between coverage. These are just some of the higher rated companies on the market at the moment; there are others out there you may want to explore to find the right type of coverage at the best price. You have many options for buying your insurance, you can go online to compare rates (which is what most consumers opt for nowadays) or you can call an agent from a certain company directly or use a broker to help you decide between a number of different companies. Whichever way you decide to go, be sure you read all the fine print on the amount of coverage and types of options you’re getting for that annual rate. No one loves to buy car insurance but everyone loves having it when something happens. Just find the lowest rate for the most protection and you’ll be well-covered when you hit the road.